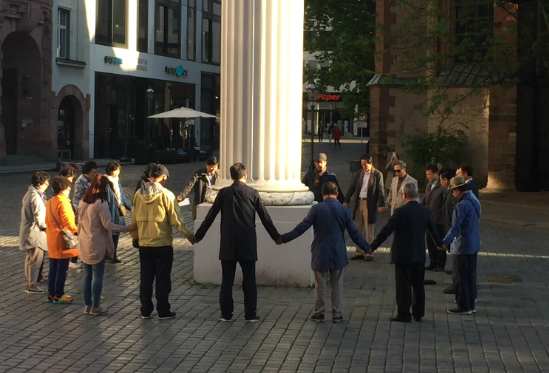 Since the April 27 South-North Inter-Korean Summit, the Korean churches are pushing ahead for exchanges and cooperation between South and North. The Presbyterian Church of Korea - Hapdong (PCK Hapdong; Rev. Jeon Gye-heon, moderator), the most conservative denomination, has announced a “Reunification Declaration” and is taking proactive steps for exchanges. 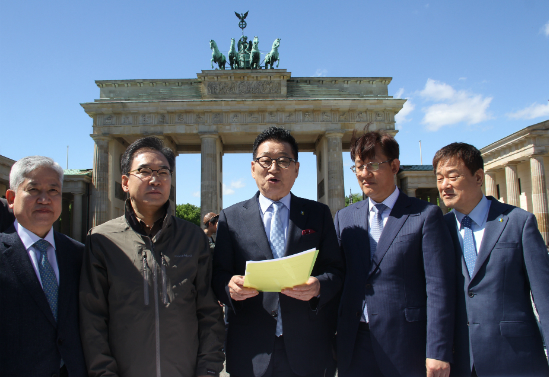 On May 1, PCK Hapdong announced its “2018 PCK Berlin Declaration of Reunification” in front of Brandenburg Gate, the symbol of German reunification in Berlin, Germany. In the declaration, PCK Hapdong proclaimed that it will work for South-North exchanges and support for the North, reunification education for the next generation, and the North Korean church rebuilding movement. PCK Hapdong also said it is taking steps to be registered with the Unification Ministry as a support organization for the North, for smooth and transparent activities in that area. On May 3, the Christian Network for Peace and Unification (CNPU; Rev. Park Jong-wha, board chair) announced its “Proposal to the Third South-North Summit and the Korean churches for establishment of reunification mission strategies,” and urged churches, political circles and civil society to work together. CNPU’s proposal said, “The Korean church and Christian organizations have been pivotal in exchanges with the North… Now the new support projects for the North should be strategically carried out in the full frame of reunification mission.” CNPU also proposed a roundtable meeting to establish a reunification mission strategy for the Korean church and to discuss a policy network.